Simply put, without our donors, the University of Georgia would not be what it is today. We are indebted to those who recognize the importance of public higher education and the ripple effect it can have on communities across the globe. UGA is endlessly grateful to be supported by so many passionate, cause-driven people who commit each and every day to improving our state, nation and world. UGA donors are helping talented students push boundaries, take risks and follow their passions. Their gifts are funding critical research that will improve lives and are bringing more distinguished faculty members to campus to inspire the leaders of tomorrow. The impact of their generosity truly knows no bounds. 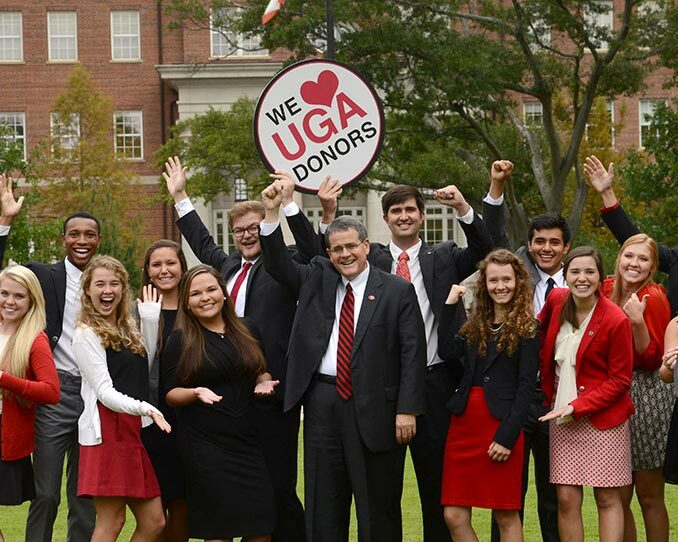 In the first year of the public phase of the Commit to Georgia Campaign, more than 68,000 UGA donors contributed $227.8 million in new gifts and pledges. This marks the fourth consecutive year that UGA donors have set a new record in fundraising and the first time in the university’s long history that the annual total has surpassed $200 million.